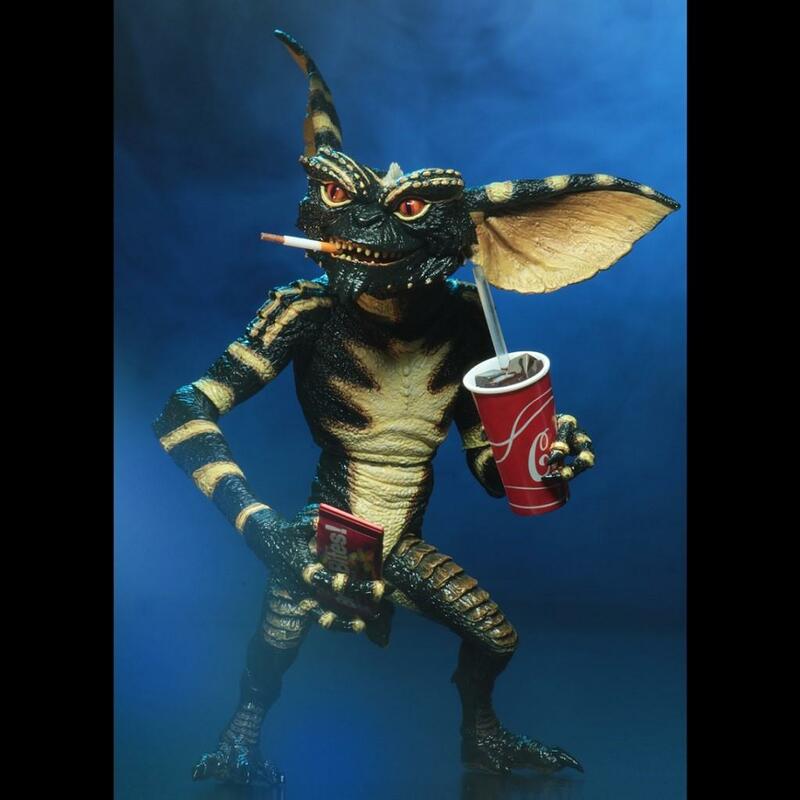 From the NECA range of Ultimate figures, we introduce the Ultimate Gremlin from the classic 1984 movie Gremlins. 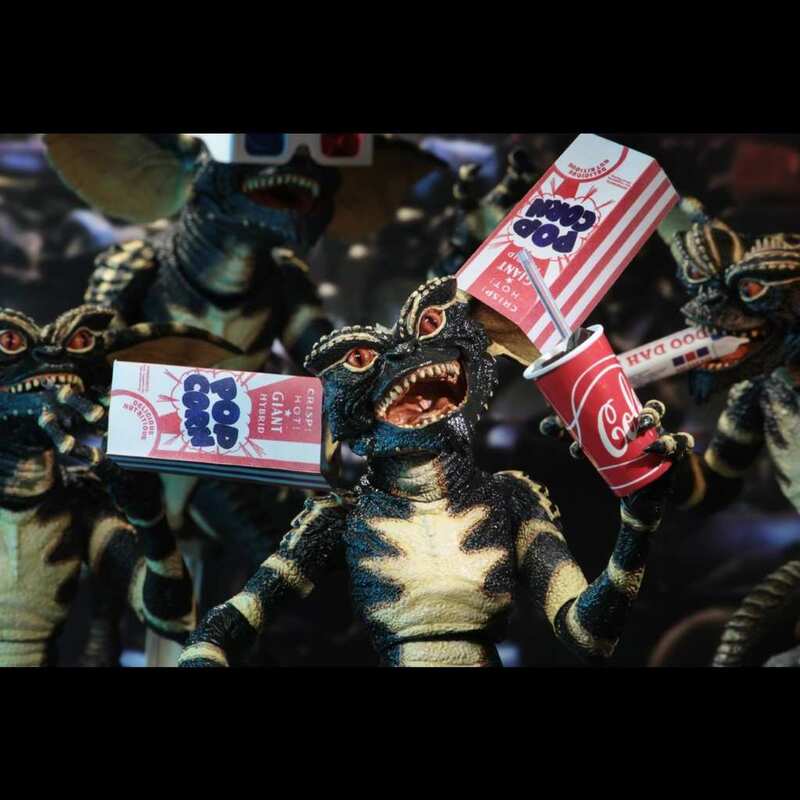 We are proud to bring you this Ultimate Gremlin based on the Gremlin from the original 1984 Gremlins movie! 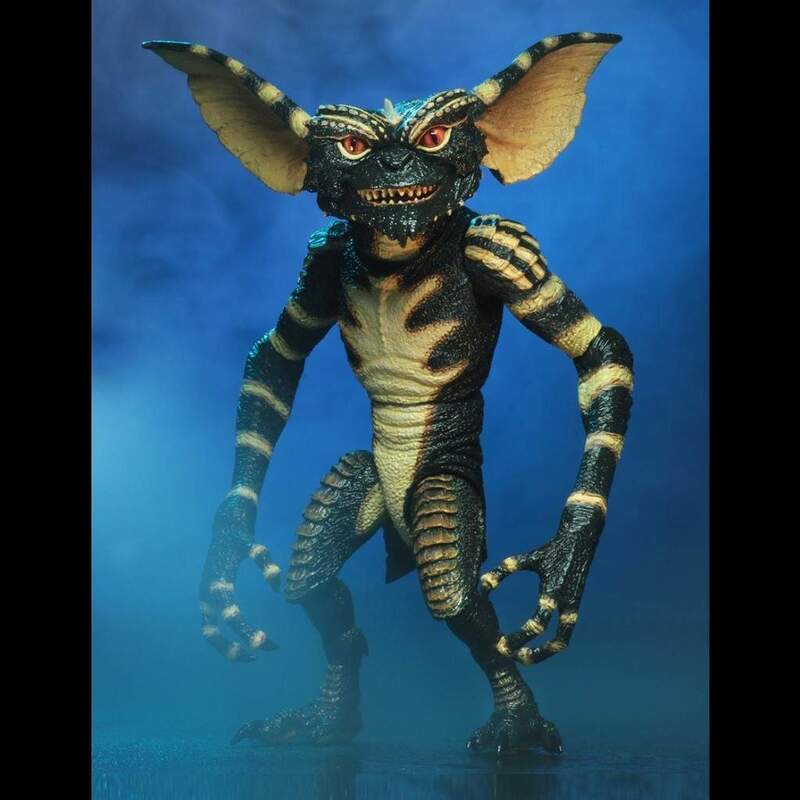 NECA brings you this new Gremlin for 2019 and it's a first for their line of Ultimate figures and they've completely re-sculpted the original 1984 Gremlin body! 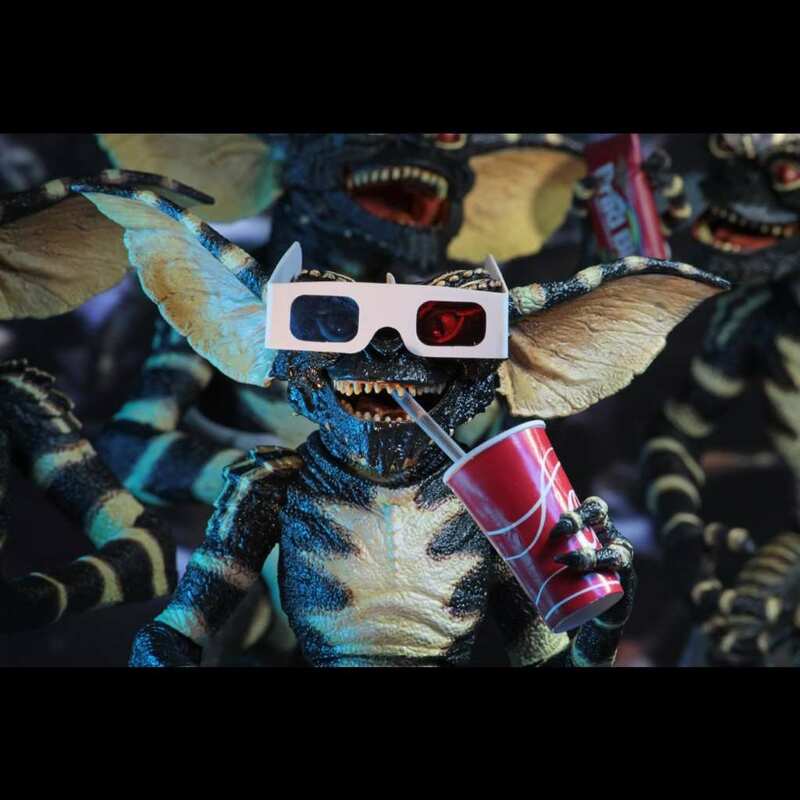 If your a big fan of the Gremlins movies, then you will know the 3 basic rules and that's to keep them out of sunlight, don’t get them wet, and never feed them after midnight because if you do break the rules, your fuzzy, friendly little Mogwai will turn into a scaly, savage Gremlin, just like this deluxe 7” scale figure (stands approximately 6” tall). 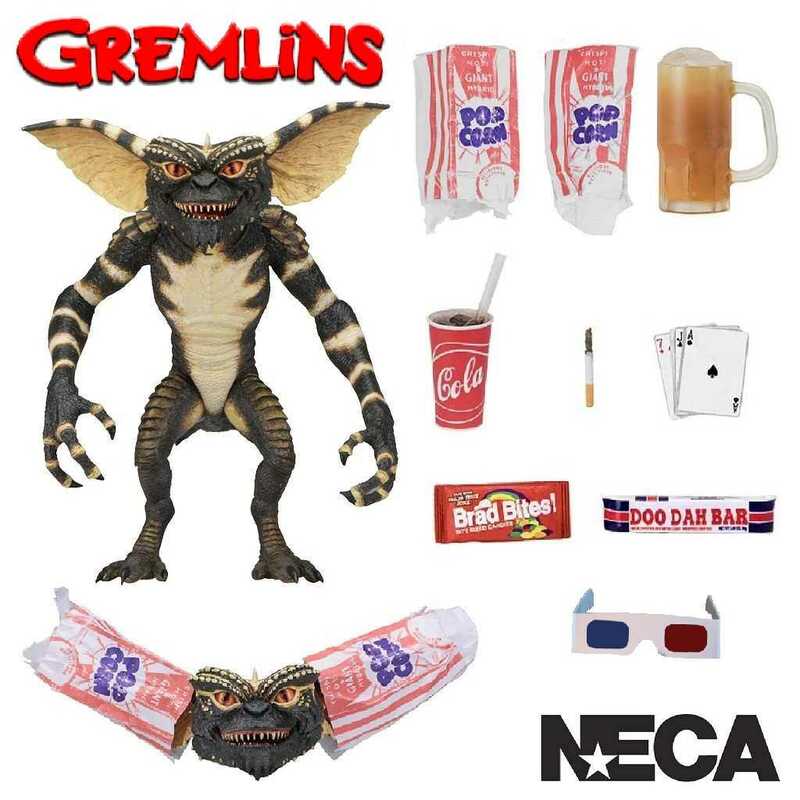 The Gremlin stands at approximately 6" tall and the new body features over 25 points of articulation, including the ears and jaw plus there's a range of assorted accessories including popcorn bags, which can be placed over the ears like in the movie, some candy, glass of beer, cup of cola with straw, playing cards, 3D glasses and a half smoked cigarette. Comes packaged in a collector-friendly window box with opening flap. The perfect gift or collectible for any fan!